I found this recipe in kiwi magazine - it was a feature called Cooking with Kids - and while I had plans to make this with my oldest Jakob on the day that we were to do it - he also wanted to go to the park, splash pad and to have an ice cream. So I did it myself really quickly. Adding hot pepper sauce to the marinade and making sure to let the marinade set for hour. Since I was in such a hurry - I didn't make sure to. 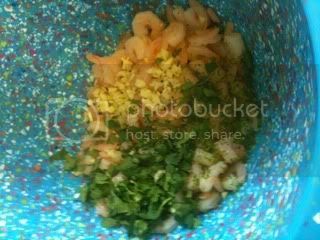 In a large bowl combine shrimp (I used teeny tiny little ones since my kids love them) with garlic, lime zest, 2 Tbsp lime juice and salt. Drain and rinse the beans in a strainer. In a medium bowl combine everything. With tongs or a slotted spoon, transfer shrimp from the marinade to the skittle, spreading them evenly and reserving the marinade. Saute shrimp for 1 to 2 minutes per side, depending on the size of the shrimp, until it turns pink. After shrimp had cooked about halfway through on the second side, add the reserved marinade and continue cooking for about two more minutes until all the shrimp is cooked through. 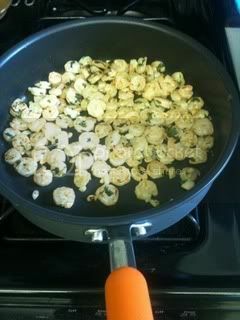 Transfer the shrimp to a bowl and gently toss with 1/4 cup cilantro. 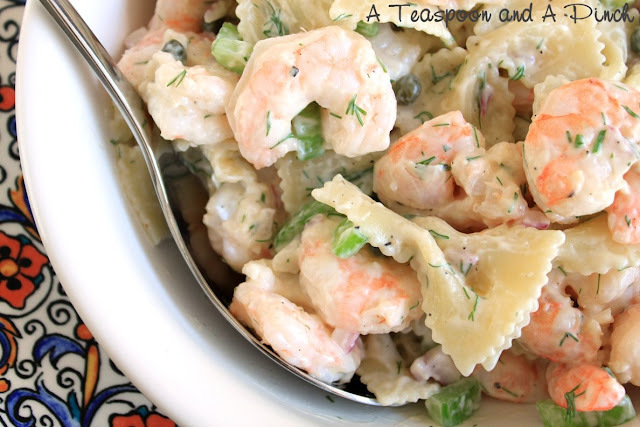 Serve the shrimp and salad with sour cream and hot pepper sauce if desired. We ate every single bit of salad (Which my kids were really confused about. What? There's no lettuce in this?) 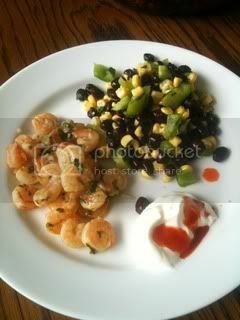 and shrimp - the sour cream and hot sauce was a really good addition and even the kids loved it. This is going into my dinner rotation - with the changes mentioned above. We rate it a 4 spoons. This sounds delicious and doable. Your kids look happy! 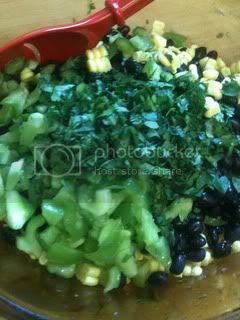 This looks good, I like recipes with lots of cilantro. 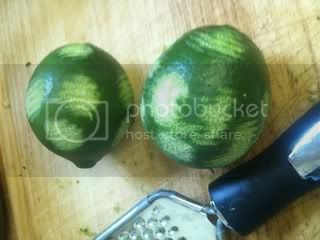 I have been doing this recipe since Kiwi published it too. 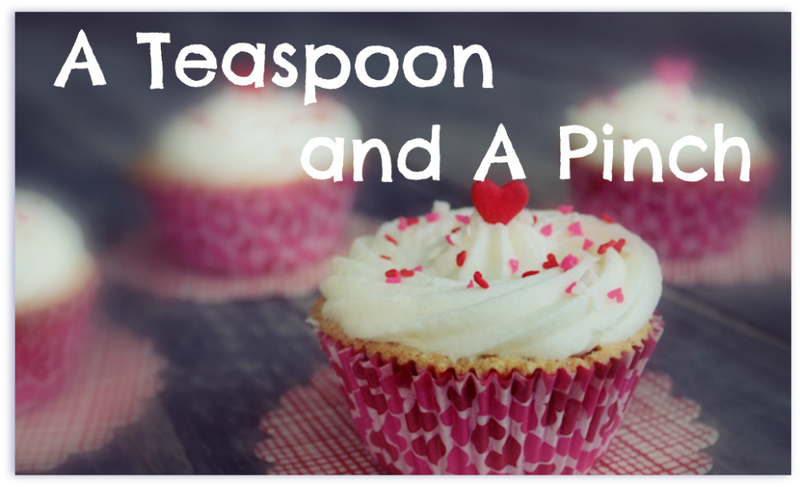 It is now added to our family recipe book because it is so delicious! In case you plan to make it again I thought I would share with you that Whole Foods has a one day sale today (Nov 12th) for really cheap shrimp!